If you need to sell your real estate contact us. We'll We will discuss your needs, expectations, the property and do a preliminary assessment to determine if your property is a good candidate for a Father Time® Auction. Properties are sold subject to a Seller Reserve or Absolute (without reserve). The auction method of marketing real estate is effective with all types of properties (residential, commercial, industrial, farms, ranches, land). Lender owned property, as well as inherited property and property donated to charity can be turned into cash quickly and sold "as-is" with no hassles or fix up. Our auctions are published in the Multiple Listing Service. We are active members of the Mid America Regional Information Systems provides the Regional Multiple Listing Service for the St. Louis, St. Charles, Jefferson, Franklin County Associations and the East Central Board of Realtors. Additionally, MARIS administers the MLS system for the South Central and Mineral Area Board of Realtors. Our online auction site contains information to help MARIS members achieve the goal of listing and selling real estate. In Metro East Illinois we are active members of the Greater Gateway Association of Realtors and Southern Illinois Region MLS. 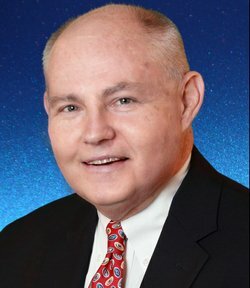 Our website, FatherTime.com will create a unique searchable listing enhanced with search engine optimization and trackable for performance. We also include an online reverse auction. 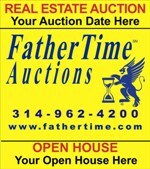 Fathertime.com, has an enhanced level on Realtor.com as well as a syndicated Point2Agent that pushes your listings on over 40 syndicates, We are committed to exposing your home with excellent pictures & descriptions to draw positive attention to your property & find the new owner of your property. The Auction Sales Method is fast becoming the accepted method to sell all types of properties where the seller wants to limit their holding period, risk and expenses. The FDIC praises the success of selling real estate and assets with the auction method. The Father Time® Auction method of marketing accelerates the selling process, in both a buyer's and seller's markets and creates the maximum exposure of a property bringing it to the front of the line. When a traditional real estate sales listing may not be a successful choice, a Father Time® auction becomes the seller's workout solution that markets and sells a property in a 3-4 week period. Sale of real estate through traditional methods cannot typically match this schedule. The National Association of Realtors reports that real estate professionals are increasingly turning to the auction as a winning marketing tool. According to the National Association of Auctioneers, real estate auctions are generating $58.6 billion per year and growing as smart, motivated Sellers and Buyers catch on to these quick, clean and fair real estate transactions.